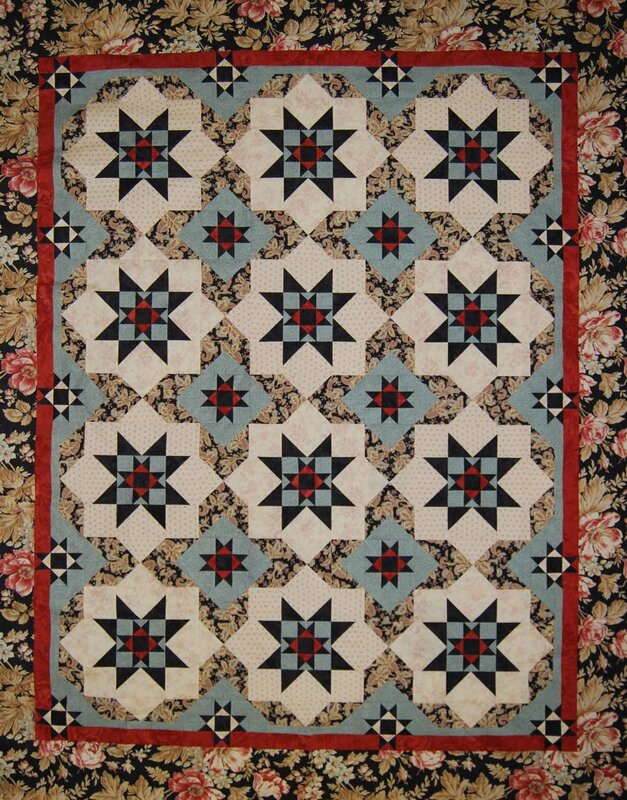 One of our early Mystery Quilts, this is a quite a beauty! Given our step-by-step instructions, you, too can make one of your very own. People love to make our Mystery Quilts, and here is one great example of why - this is a fabulous quilt, with plenty of space to show off great prints. Careful attention to your cutting, sewing, and instructions will get you a lovely new quilt. Instructions are given for three different sizes: Wall, Throw, and Queen. An added bonus with our mystery patterns is Judy's guidance in choosing fabrics. She lets you know what kind of prints will work for each part of the quilt. Click here for information on yardage requirements and fabric selection.